With our fourth issue just published, we are now one year old. In these past 12 months we have published a total of 38 articles, projects, maps, drawings, photographs, and films, from researchers, creatives, and professionals, coming from 12 different countries. 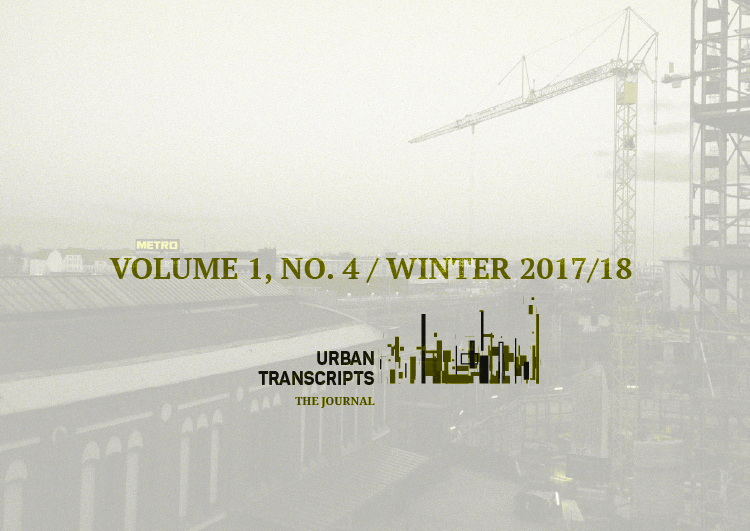 Celebrating the diversity of approaches through which our authors explore the Urban, this issue comes with a special call. Shifting our focus from urban themes to the very tools of exploring the urban, visualising the City calls for submissions in text-, image-, and film-based formats, that sharpen, broaden, and challenge our ways of seeing the City, critically reflecting on the transformative potential of urban visualisations. This issue discusses how new developments in neuroscience can inform spatial practice, invites us to revaluate mobility tactics in the context of public space use, reflects on an approach to mapping practice emerging through interdisciplinary collaborations. This issue equally reflects on the role of public space in empowering citizen-led challenge of power, within the context of Tahrir Square and the Arab Spring. It furthers challenges the traditional rural/urban dichotomy in urbanism, through an investigation of a symbiotic landscape interweaving human settlement, mining, and agriculture, in Minas Gerasi and Nova Lima in Brazil. Last, we report on a community-based participatory approach to the creation of new public spaces in left-over land in Al-Kom Al-Ahmar in Egypt.